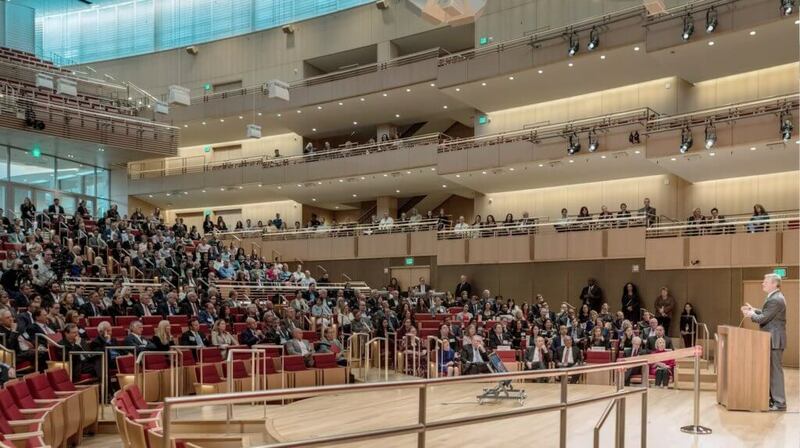 Manafort-Precision Works With Walsh Brothers, Inc. at Harvard Business School - Manafort Brothers Inc.
Manafort-Precision was proud to work for Walsh Brothers, Incorporated at Harvard Business School's recently opened 1,000 seat convening space, Klarman Hall. The October 1st Opening Ceremony included remarks by HBS Dean Nitin Nohria, Harvard University President Lawrence S. Bacow, and Massachusetts Governor Charlie Baker. 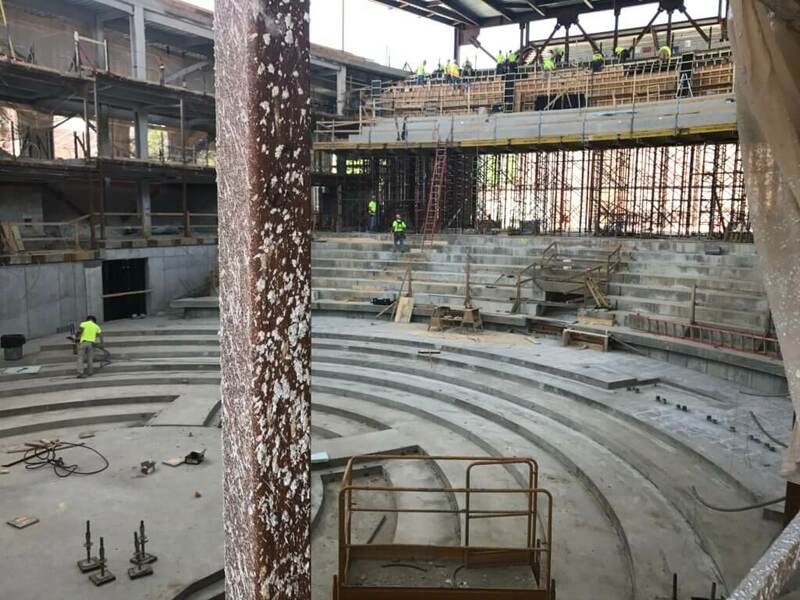 Manafort-Precision's scope included over 7,000 cubic yards of intricate cast-in-place concrete to create the structure for the state of the art facility. 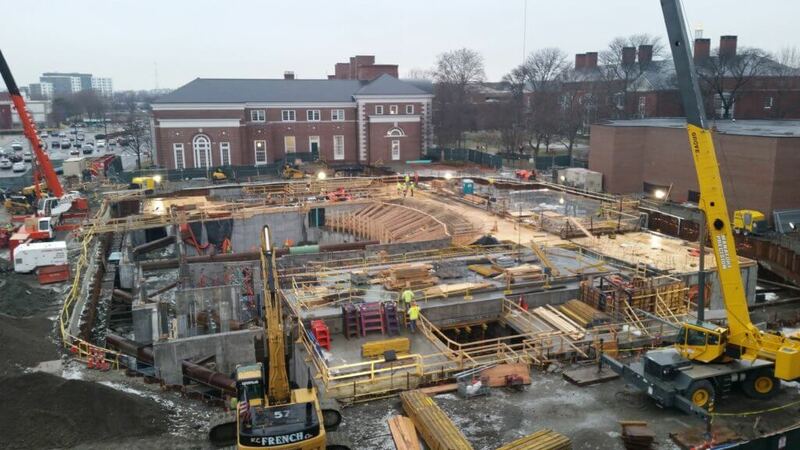 Due to the complexity of the structure, the 400 tons of reinforcing steel included over 4,000 sets of dowel bar substitute connections. One trip to this project and you will be amazed at the level of technology and finish!